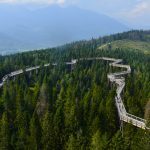 The origins of tourism in Slovakia may be traced back to the 16th century when feudal landowners found out that the warm therapeutic springs which had long served common people from the surrounding areas could also be a good source of income. They adjusted the surroundings of the springs, built the first spa buildings and accommodation facilities, and successfully attracted the Austrian and Hungarian aristocracy and rich townsmen from as far away as Vienna and Budapest. By the end of the 16th century the springs had been examined by several acknowledged physicians. In 1571 Johann Crato de Craftheim, personal physician to three Austrian emperors, wrote instructions on how to receive treatment at the Piešťany hot springs. In 1588 in Venice, Andrea Baccius Elpidianus, personal physician to Pope Sixtus V, published a description of all the known spas in the world. In this work he mentioned the application of Piešťany therapeutic mud on aching joints. 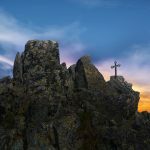 According to chronicles, the earliest hike in the High Tatras took place during the Turice (Appearance of the Holy Spirit) Holiday in 1565. Beata Laski-Koscielecki, Lady of Kežmarok Castle, took a hike with the townsmen to Zelené pleso (Green Lake 1,545 metres above sea level). 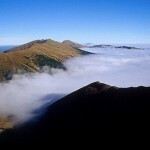 In June 1615 David Fröhlich took the first high mountain hike, probably to Kežmarský štít (2,558 metres above sea level). 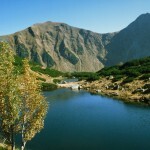 Starý Smokovec, the first High Tatras summer resort, was established close to mineral springs. In 1793 the owner of the surrounding forests built a gamekeeper’s cottage and hunter’s cottage there. In the middle of the 19th century hotels, restaurants and water-therapeutic facilities with medical supervision began to appear and the municipality became a climatic spa. 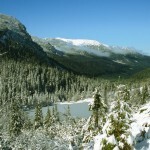 At the beginning of the 20th century skiing was introduced at Tatranská Lomnica. According to statistics, Slovakia ranks last of the first 30 European countries in terms of its foreign visitors. 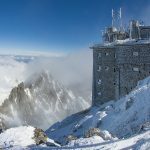 It is not a significant destination for mass tourism except for the winter mountain ski resorts, thermal pools, therapeutic spas and the capital city of Bratislava. The most frequent visitors come from neighbouring countries: the Czech Republic, Poland, Hungary and Austria. Germans and spa guests from Arab countries, Israel, Russia and other countries of the former Soviet Union are also numerous. Most foreign tourists arrive by car bus or train. Only a few tourists arrive by planes – if they do so, they arrive in airports in Bratislava, Košice, Poprad and Piešťany. Slovak citizens fly on holiday from Bratislava, Košice, Sliač and Poprad. 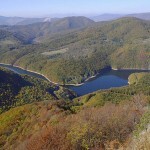 It is possible to get from the west to the east of Slovakia on motorways and expressways in about six to seven hours, from the north to the south in three hours. 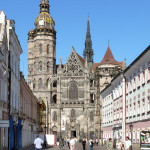 As Slovakia is situated in the middle of Europe, it is a significant transit country for automobile tourists from the south travelling to the Balkans and for tourists travelling from the north to Austria or Italy. Several tourist attractions are the sites of rest stops during trips. 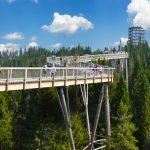 For tourists from more distant countries, the relatively little-known Slovakia could become an interesting country for a pleasant quiet family holiday amidst preserved natural surroundings. It can offer individual tours for curious souls and connoisseurs of natural, architectural, cultural, and technical monuments. 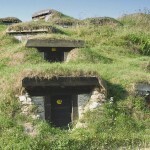 It can also attract lovers of adrenaline sports, hunting, fishing, riding and golf. 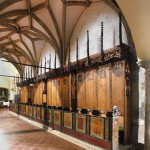 – Several other attractions in the country are at least of Central European significance. Water parks and thermal pools occupy the first six places among the most visited tourist attractions in Slovakia. 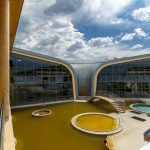 Aquacity in Poprad is top of the list, followed by the Tatralandia thermal water aqua park near Liptovský Mikuláš and three thermal pools in the southern Slovak towns of Veľký Meder, Podhájska and Vadaš. The Gino Paradise Bešenová near Liptovský Mikuláš, with 18 outdoor and indoor pools and 15 water slides, is number 6 on the list. It offers skiers the unforgettable opportunity to swim in thermal pools with a view of snow-capped mountains. The Museum of the Slovak National Uprising in Banská Bystrica, the Pavol Országh Hviezdoslav Museum of Orava in Dolný Kubín and the Spiš Museum SNM in Levoča are Slovakia’s most visited museums. Bratislava Castle, Orava Castle, Spiš Castle and Bojnice Castle are Slovakia’s most visited castles. Demänovská jaskyňa Slobody is the most visited cave. The capital city of Bratislava plays a special role in tourism. 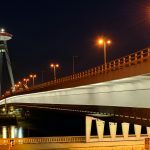 Because it is situated on the border with Austria and only 60 kilometres from Vienna, visitors to Vienna frequently take day trips to Bratislava. 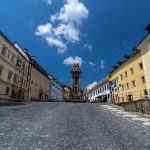 They are attracted by its compact but interesting historical core, featuring Bratislava Castle and St Martin’s Cathedral, which from 1563 to 1830 served as the coronation church of 11 Hungarian kings and nine queens, Empress Maria Theresa of Austria among them. The Hungarian Parliament, harried by Turkish armies who had occupied Buda in 1536, decided that Bratislava, a town of craftsmen, tradesmen and winegrowers, would become the capital of the country and kingdom and the coronation site for Hungarian kings. Top opera productions at the Slovak National Theatre are also extremely popular with the Viennese and visitors to the nearby Austrian capital. 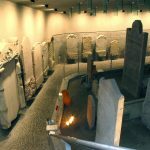 Bratislava is also a significant Jewish pilgrimage site, because of the Chatam Sofer Memorial, one of the four most significant Jewish monuments of its kind in the world. In addition, thousand of tourists from the all over the world visit Bratislava for a couple of hours during stopovers on trips on luxury Danube ships travelling between Germany and Hungary or the Danube delta.